It is the afternoon of Thursday, March 22nd, and the first hints of spring are in the air. 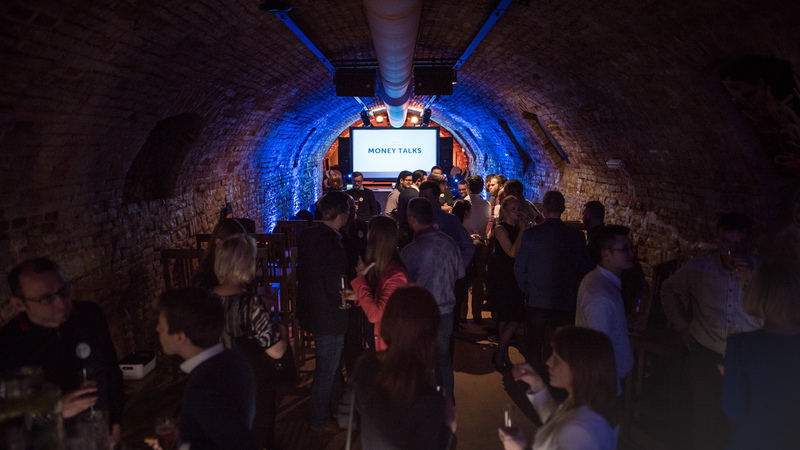 From Leipzig to Budapest and on to Prague, representatives of the financial teams across the entire Rockaway portfolio have come together at the fourth edition of the Money Talks conference. “We are here to stop for a moment, look back on our shared successes and failures and discuss the future,” said the group’s CFO, Jaromír Švihovský, welcoming the guests. A lot has happened and I want to thank all of you – 2017 showed us that together we are strong.” In particular, Švihovský listed the most interesting success stories of last year, from hard numbers to more entertaining statistics – for example, in the books released by the Euromedia publishing house, a total of 180 murders were committed and 440 new relationships were begun, from which more than 500 children were born. Robert Chmelař, Investment Partner at Rockaway, then took the floor and presented the group-wide results to all in attendance and primarily gave an overview of the group’s direction and its current structure. After a short break, the discussion turned to the future. Andrea Lauren, Investment Partner at Rockaway, summarised global happenings in the area of FinTech. “We’re monitoring several trends. The most interesting among them today seem to be the possibility to pay at any time and via any platform, the network effect of individual services, general improvement of the customer experience and, of course, modern technologies, primarily blockchain,” Lauren said. Putting Lauren’s thoughts into a specific example, Adam Kolesa spoke about the successful implementation of the Lymet service at Mall.cz and about the entire payment system that is arising around the service. 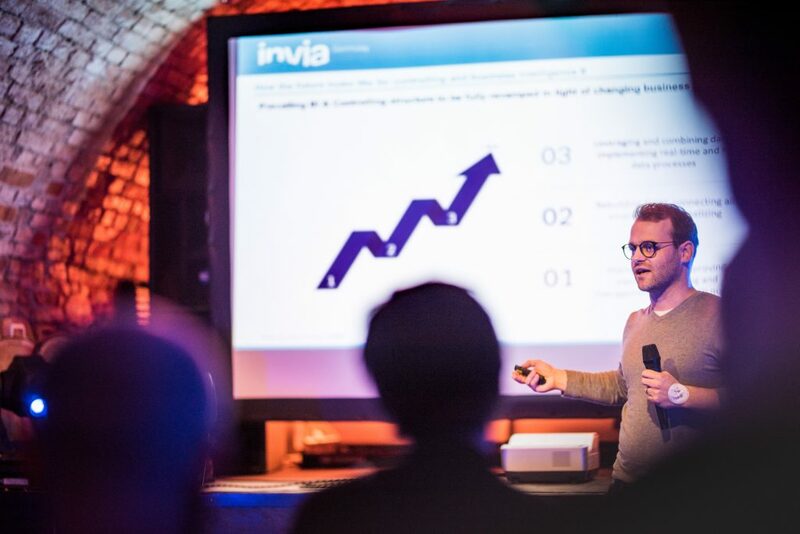 Jan Wellman, the right hand of the CFO of Invia Germany and an expert on cryptocurrencies, delved even deeper into the future. Wellman explained the operating principles of blockchain and decentralised currencies and spoke about virtual money’s impact on the world around us and what it can bring forth in the future. “Bitcoin may be a bubble that will burst. But blockchain is a phenomenon that will stay with us,” he said at the conclusion of his talk. 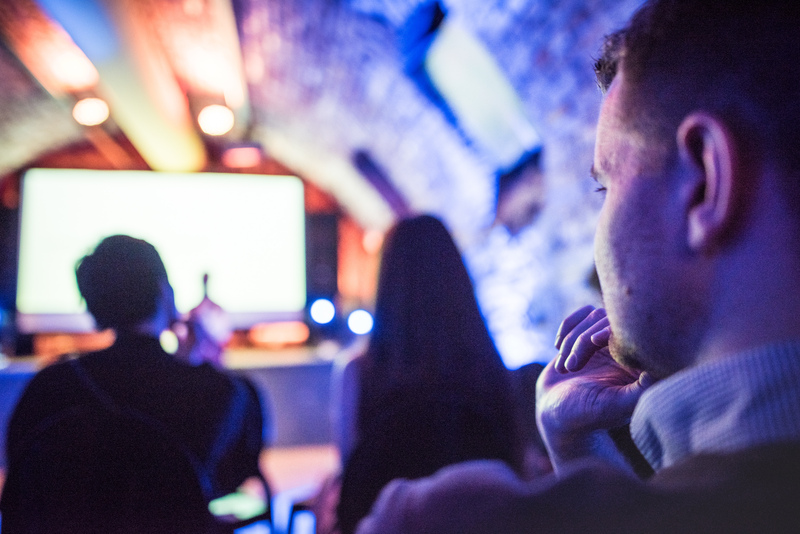 Sidney Zdeněk Hornych and Jan Tony Čep of the start-up SOCIFI gave a very detailed example of the subject that Wellman had previously introduced. “Like AI, nanotechnology and, for example, 3D printing, blockchain is now changing the rules of the game. We decided that we didn’t want to miss this wave, so we have been intensively preparing an initial ICO for the past six months. It’s almost ready – you can find all the details at https://gif.network,” said Hornych. The rest of the evening passed in an informal way, with guest mingling and discussing what they had heard earlier in the day and thinking about what tomorrow holds. Photographs from the conference are available HERE.